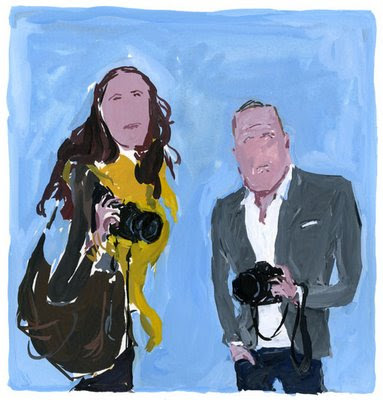 Well two of my favorite bloggers have always been Garance and Scott, i've been checking them everyday for around 4 years now (OMG!)... and i've talked about them here and here.. and now, the two of them have been spotted on the unknown hipster the new blog of the great veteran illustrator himself Jean Phillipe Delhomme... phew. long sentence, lots of links and a lot to share!